Clint Eastwood directs and stars in this international intrigue action thriller that takes place on the Swiss Alps. Hemlock, a retired professional assassin (Eastwood), who has turned toward the calmer pursuit of art collecting, is suddenly forced out of retirement to hunt a deadly double agent who murdered a close friend. The hunt takes Eastwood on a breathtaking journey up the Swiss Alps with a team of mountain climbers - one of whom is the man he seeks, though his identity is as yet unknown. 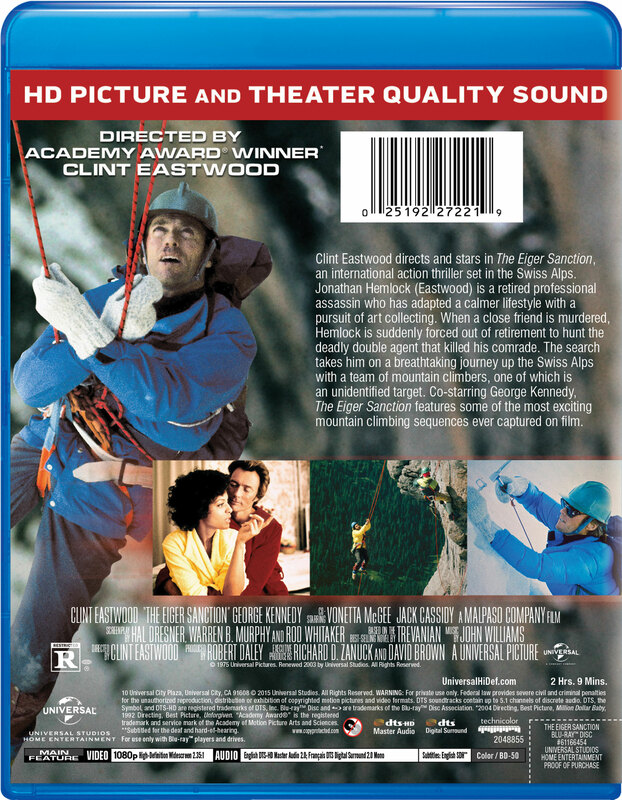 The top-notch action film, based on the novel by Trevanian, features some of the most exciting mountain climbing sequences ever filmed.